Black and White image of HP Series 955 . 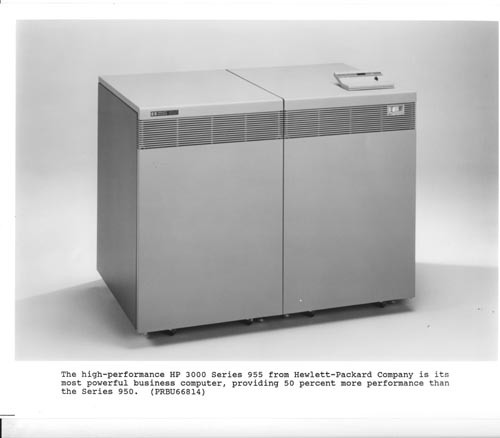 Label at bottom of image " The high-performance HP 3000 Series 955 from Hewlett-Packard Compoany is its most powerful business computer, providing 50 percent more performance than the Series 950. (PRBU66814)."